Sundays at 8 and 10. For a full schedule of our services, and descriptions of what to expect, go to the Worship page. This introduction to Christian thought is open to everyone and is free. Monday nights from 6-8, starting March 20th. Learn More. The Liturgical Rota for April, May, and June is now available. Click below to see it. Our (first annual???) 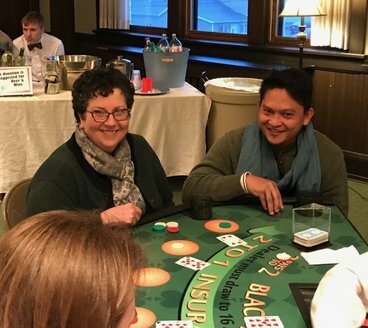 Casino Night was tons of fun, and we raised more than $1000 for our youth ministries! Click the pic below to see the full gallery.